Excellent sample accounting resumes that get you the results you want. Find out how to develop a job-winning resume that gets you to the next step in the hiring process. You can secure the accounting job you want with a well-written resume that gets your job application taken seriously. Your resume should quickly and clearly tell the reader why you are a good job candidate. Use these sample resumes to write your own job-winning accounting resume. The profile statement at the top of your accountant resume summarizes your relevant expertise and immediately tells the potential employer why you can successfully perform the job. You can make use of specific metrics in your resume to highlight the scope of your professional experience. 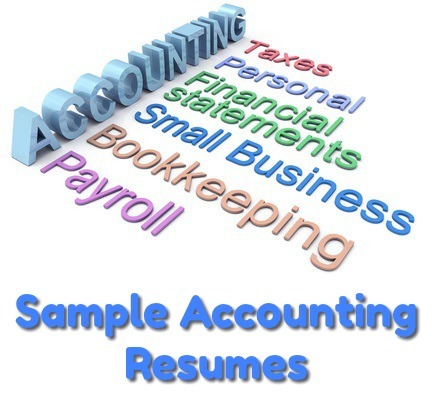 This Accounting Sample Resume will be of great help when you want to build your own professional resume. This resume is suitable for a junior accountant with a couple of years general accounting experience. The resume example highlights the specific accounting responsibilities expected of a junior accountant and the skills that employers seek in this position. The Junior Accountant Resume will help you to take your accounting career to the next level. The work experience section of the sample bookkeeper resume clearly presents the responsibilities and duties of previous job positions. The bullet point format allows for quick and easy reading of the candidate's scope of experience. Computers are integral to bookkeeping and finance so it is important to highlight your computer skills in your resume. Always include a section that details your technical skills. View this Bookkeeper Resume Sample to find out more. Use concrete examples of your professional achievements in your resume. Highlight functions such as billing, managing collections, reconciliations. Your accountancy skills and strengths should be presented in a user-friendly format. Your education and qualifications are key to getting your resume noticed for an entry-level position. This sample resume highlights what you can bring to a potential employer as an entry level candidate. Accountancy-related competencies are clearly demonstrated and any relevant work experience is concisely summarized. The resume profile statement is key to getting the reader's attention and making sure your resume receives serious consideration. The sample profile statements help you to formulate your own persuasive profile summary. The computer skills section immediately identifies the technical capabilities you offer a prospective employer. Use the Entry Level Accounting Resume to develop a well-written resume. 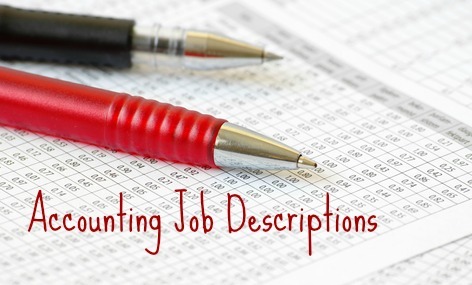 Use these Accounting Job Descriptions to identify the key skills to highlight in your resume. An accounting or finance resume without a winning cover letter lacks impact. Use these Sample Accounting Cover Letters to get your resume noticed.